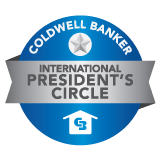 Tony and Tina are top producing real estate agents in Coldwell Banker Residential Brokerage's Northwest Office, the #1 real estate office in the Northwest suburbs. 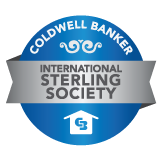 In 2017, they were named to the prestigious Coldwell Banker International Diamond Society, a level achieved by only the top 11 percent of all sales associates worldwide affiliated with the Coldwell Banker® system. Coldwell Banker Residential Brokerage consistently closes more in sales volume in our region than any other residential brokerage company. Our region includes Chicagoland, southeast Wisconsin, northwest Indiana and southwest Michigan. Tony and Tina's listings frequently appear in the Daily Herald and Chicago Tribune. In addition, their listings are advertised on more than 40 websites, including Realtor.com, ColdwellBanker.com, ColdwellBankerHomes.com, TheTNTTeam.com, InvernessHills.com, Zillow.com and Trulia.com. Tony and Tina sell an estimated 25% of the homes they list. Tony and Tina work with an award-winning, full-service marketing team to best promote their clients' homes.